According to a 2012 study by Parenting Group, publisher of Parenting and Babytalk magazines and Parenting.com, and Edelman, a leading global communications marketing firm, statistics show that men are now the primary shoppers in 32 percent of households – more than double the 14 percent rating of two decades ago. That same study, in a Yahoo survey of 2,400 U.S. men ages 18 to 64, found more than half now identify themselves as the primary grocery shoppers in their households, but only 22 to 24 percent feel advertising in packaged-goods categories speaks to them. Defy Media investigated tasks of men aged 18 to 49 in 2014. They discovered that 65 percent of men hold the primary responsibility of shopping for several household product categories and 54 percent of married men say they shop for groceries and household supplies more than their spouses. Phil Lempert has served as a food trends editor for NBC’s “Today Show” since 1991 and is now known as the Supermarket Guru. In a 2015 piece, he noted that according to a new Young & Rubicam study, men now comprise 41 percent of all primary grocery shoppers, but that figure is even higher among dads: 80 percent of millennials and 45 percent among all dads are either the primary or shared grocery shoppers in their families. The study also found that dads are more brand-loyal and less frugal than moms. These facts alone suggest an invitation to corporate and marketing executives to seriously consider developing a marketing campaign to both parents, without the exclusion of one or the other. The facts are often ignored due to the myths of fatherhood, but the reality speaks of new dynamics. 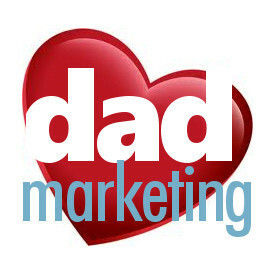 Is the relationship between marketing and modern parents changing? How is it possible to not explore or consider dads as valuable customers? How can a marketing department would neglect the obvious? How can a CEO and its board allow all this to be missed, year after year? Let’s hope that the corporate world soon catches up to modern families who so greatly matter to their bottom line. What did we learn from the Gillette ad? Now that the hype has died down, did we learn anything? When Gillette’s “We Believe” advertisement went viral, was it really nothing more than a cynical marketing ploy? Did it really backfire like its critics say? What did Gillette learn? What did we learn? We learned that Gillette deleted an astounding 34 percent of the ad’s comments on YouTube, a figure that some consider the highest relative comment delete on any 1 million or more commented video in YouTube’s history. We learned that Gillette’s sales haven’t been affected yet, though that’s hard to determine at this point. Razors are often bought on very long purchase cycles, so a definitive sales conclusion can’t fully be realized until months from now. We learned that the pot does indeed call the kettle black. Thousands on social media pointed to a past Gillette sponsorship photo whereby women wore tight-fitting blue jumpsuits with Gillette’s logo featured across their behinds. We learned that there have been calls for boycotts of Gillette. One has to wonder what fans and players of the New England Patriots think about their stadium being sponsored by Procter & Gamble’s top razor brand. In the end, the campaign received considerable attention, but it also drew heavy criticism by suggesting that good men are in the minority. It even took aim at boys seeing bikinis on TV (like, think how all of us will be subjected to that during Super Bowl commercials) and roughhousing on the ground. Caring isn’t feminine, and leadership isn’t masculine. The bad apples involved in the high-profile, celebrity #MeToo culture doesn’t mean that the entire bunch is spoiled. Everyone gets that toxic masculinity is a bad form of masculinity, but it’s not as prevalent as Gillette insinuates. Look around you, most men are decent men. And the boys of today are its customers of tomorrow. The male-shaming of Gillette’s ad demoralizes and labels its very customer base. It’s hard to imagine a scenario whereby Gillette would run a similar female-shaming ad telling women they’re not good enough, and that they need to do better. Lost in Gillette’s well-intentioned piece was a message that stereotyped, emasculated and demeaned the far majority of an entire gender. Gillette’s pledge “to actively challenge the stereotypes and expectations of what it means to be a man” is a lofty one. It’s operated by a parent company that has a troubling history of ads and social media which thrive off old-fashioned notions of masculinity and femininity. We learned that Gillette has work to do. And it starts today.